The 'A' range combines the qualities of a robust electric motor and a well proven simple mechanical drive. Total environmental sealing to IP68 allows the inclusion of integral motor starter and control electronics. 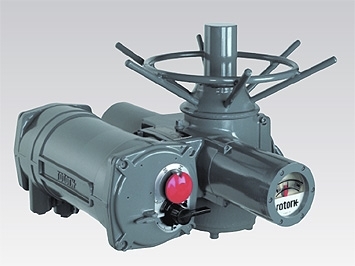 Torque range 14 to 3,000 Nm (10 to 2,200 lbf.ft) direct drive, up to 250,000 Nm (185,000 lbf.ft) quarter-turn and up to 40,800 Nm (30,000 lbf.ft) multi-turn (rotary). See 'A' Range Literature Page for further details.